Dragon considers the direction that his life has taken over the past few months and finds himself at something of a loose end. He feels bad that he is wasting all of his power by merely appearing on talk shows or shooting commercials. Marcy Howard can sense that he is itching to return to crime-fighting but is also concerned that Dragon is becoming depressed. The suicide rate has been rising rapidly recently and she fears that he may end up following this disturbing trend. The S.O.S. is gathered together to watch videotape footage of when the Possessor inhabited the Devastator and invaded Complex One during a recruitment drive. They witness the struggle as Dragon fought against the Devastator, weakening his grip on the hundreds of super-freaks nearby. This led to Widow starting to have contractions and Dragon desperately seeking to save her life, ultimately beheading the Devastator and presumably ending the threat of the Possessor. Sgt. Marvel points out that this was never the Possessor’s true body and that he could potentially still be alive. The huge leap in suicide rates is blamed upon the villain by Sgt. 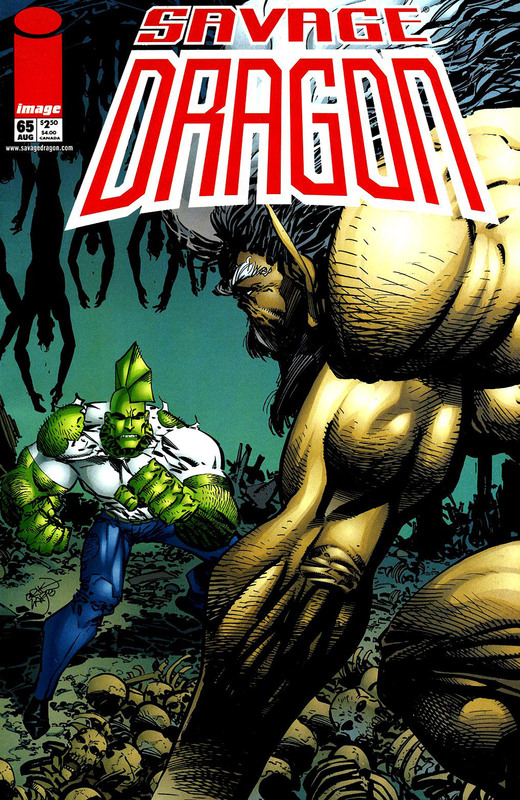 Marvel who firmly believes that Dragon is the only person capable of dealing with this threat. He talks about how Dragon has been retired since OverLord murdered his wife but he must now try and force Dragon out of retirement. Marcy questions just what Smasher was like as Dragon never really talks about her. Dragon had simply wished to spare Marcy from hearing about another woman he loves but agrees to describe his late wife. Their conversation is interrupted when Barbaric stops by, announcing that the S.O.S. desperately needs his help. Dragon is uninterested and sends Barbaric away before settling down to read Angel a bedtime story. Angel questions whether Dragon is still friends with Barbaric as he was so mean to him but Dragon assures her that they are still friends but he had been trying to get him to do something that he no longer likes doing and this simply made him mad. An early morning telephone call wakes Dragon up as Star is the next to try and recruit Dragon to deal with the threat of the Possessor but he is abruptly hung up on. Dragon gets up and shaves before Marcy joins him in the bathroom. She is assured by Dragon that he is not thinking about returning to active duty and when a radio news report about the suicide crisis starts up, Dragon shuts it off. He then joins Marcy in the shower. Marcy is amazed at just how different Dragon is to how he had been portrayed by the media, nothing like the serious tough guy she thought he was. The couple are soon talking about the suicides again and it is clear that Barbaric’s words have gotten to Dragon. Marcy talks about how her father used to take risks whilst a cop and after his death, her mother soon passed away of a broken heart. They are then shocked when a man narrowly avoids getting hit by a car before he runs in front of another one. A news bulletin interrupts one of Angel’s cartoons as Sam Haze reports about a mass suicide in New York’s Times Square where seven thousand people killed themselves. Dragon realises that the problem has reached an unbelievable level and as he disagrees with Marcy about getting involved, Mighty Man bursts through the wall. He carries Dragon out into the street where numerous super-powered individuals join forces to defeat Dragon, eventually knocking him out. Dragon awakens in an abandoned subway station where the revamped Possessor greets him, upset that it took force for him to convince Dragon to speak with him. He explains that when the Devastator was killed with his mind inhabiting him, the near-death experience changed him. The Possessor knew that he had committed great evil and wished to make amends. He used his telepathy to search out evildoers and forced them to commit suicide. This then spread out to target anyone that had the potential for doing wrong until the Possessor ultimately decided that only “fellow” superheroes deserved to live. Dragon points out that what he has been doing is awful and that he cherishes all life, refusing to have any part in his captor’s scheme. The Possessor finally accepts that he has been confused and when faced with the horrors that he has performed, he impales himself on a shattered rail. With the Possessor dealt with, Dragon returns home where he invites Sgt. Marvel over to speak with him. He informs Sgt. Marvel that he can be considered out of retirement and will be on call with the S.O.S. on a part-time basis. Dragon then talks with Marcy alone about his decision, knowing that he could have prevented a lot of deaths had he acted sooner. He pleads with Marcy to remain with him but she cannot bring herself to risk ending up like her mother. She reluctantly turns her back on Dragon and leaves him behind forever.